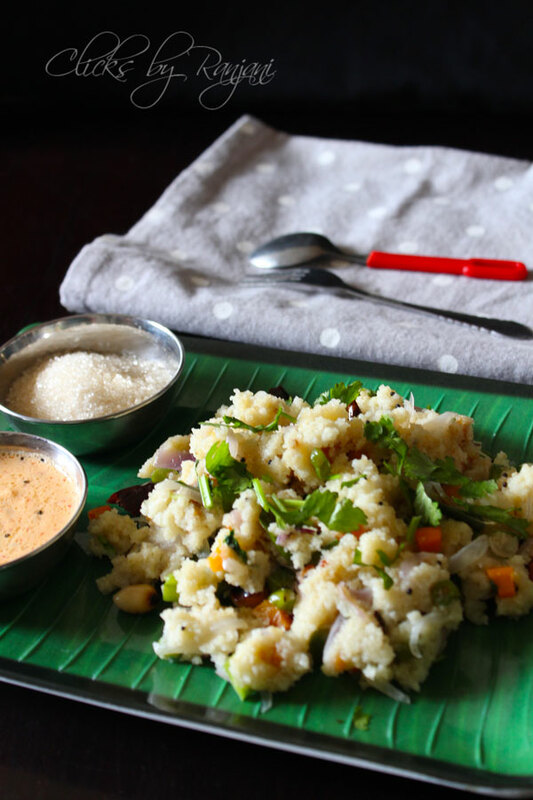 Rava upma recipe – Frequently made recipe for breakfast or dinner in south Indian houses. Also, this is not in a favourite list of many. Even me is not an exception in that. But the way you prepare may tempt others to eat. Yes adding of peanuts and veggies enhance the taste than usual upma. Try this rava upma recipe and write me your feedback. Boil 3 cups of water and chop veggies to make upma. Once all done, heat a kadai, add oil after it gets heated add mustard. Allow the mustard to splutter, then urad dal roasted and peeled peanuts and channa dal. Keep the flame low to avoid over roasting the dals. The Golden color of dals is a right stage. Then add chopped onions,red chilies, and ginger. Saute well till the onions becomes translucent. Add chopped veggies and sprinkle needed salt in it. Saute for 4 to 5 mins in low flame. Add rava and roast along with veggies.Add boiled water to it. Cook covered in medium low flame for 8 to 10 mins or till the water gets absorbed fully. Turn off the flame, add coriander leaves and mix well. Serve with coconut chutney, sugar or sambar of your choice. Adjust salt and chilies as of your taste. Water level I mentioned is perfect to make the fluffy upma. But you can adjust more or less as of the consistency you needed. I used beans and carrot as veggies. You can add green peas, potatoes also. 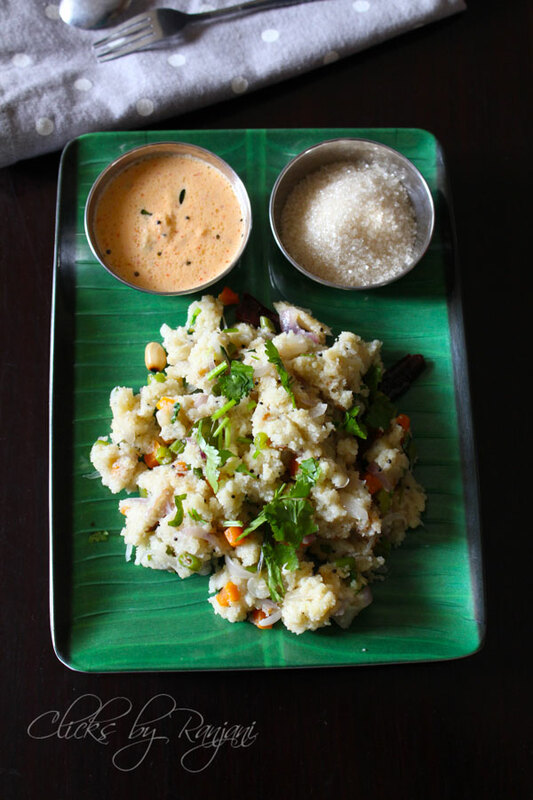 This upma goes well chutney varieties like coconut chutney, coriander chutney or tomato chutney. All time favourite!! very well made! !